Here's an interesting roadside find. 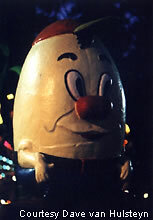 Check out Humpty Dumpty, prior to his great fall. This little piggy went to the ... May Way Shopping Center. 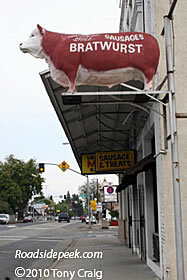 This little oinker beckons all travelers to its BBQ restaurant. 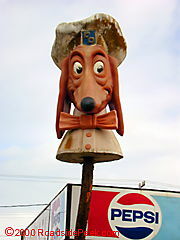 The Doggie Diner head near San Francisco was the last of the remaining signs of the old Doggie Diner. 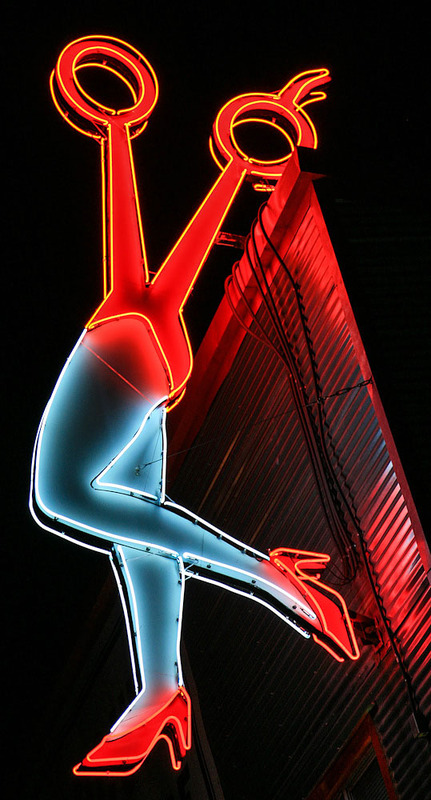 Unfortunately, this sign was blown down by a windstorm on 4/1/01. Good news! This doggie head was restored back to prime condition. Even the doggie's hat now looks spotless! 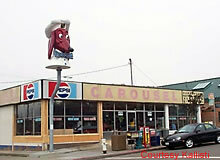 UPDATE 07/08 : The Doggie Diner head in SF (associated with the former Carousel restaurant) has been lovingly restored and moved to a position on Sloat Blvd. More information can be found at http://www.outsidelands.org/doggie_diner.php. 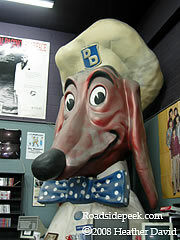 According to this site, the Doggie Diner head was designed in 1960 by artist Harold Bachman for a chain of 30 drive-in restaurants.